Quicksilver had the most liked content! Happy Birthday @FunOxO, @Regaizz and @PollitoJrH12945! Use our new Community Installer - Download here (Read the Tutorial. Post any bugs or issues you might find, this is still a work in progress) Alternative Manual Download Map Download - Download here Minimod Download - Download here The campaign files will come in a zipped file. Just copy this file into Program Files (x86)\EA GAMES\Battlefield 2\mods\ folder. Choose 'Extract Here' and let it install the files. Let it overwrite any files if you have older campaign files installed. From all of the Committee, Admins and Moderators we want to invite all of the CMP community to celebrate our birthday with a custom FH2 battle this coming Friday. The start of 2019 brought us the thrilling and intense conclusion to our fourth FH2 Campaign "None But The Brave" with the Axis forces managing to hang on to the lead and secure victory in the Pacific. As we look ahead into the rest of 2019 here are some of the event and campaigns we have planned: Looking Ahead For 2019 Another Arma III campaign will be scheduled for later on this year - keep checking the General Announcements for more information; The first CMP BF1918 campaign is underway! Fight through Belgium as part of the Triple Entente or the German Empire and claim victory through ten action packed maps. It isn't too late to sign up for the campaign, just visit the Campaign section. We are currently running a Dirt Rally Cup event which will last until the 7th June. 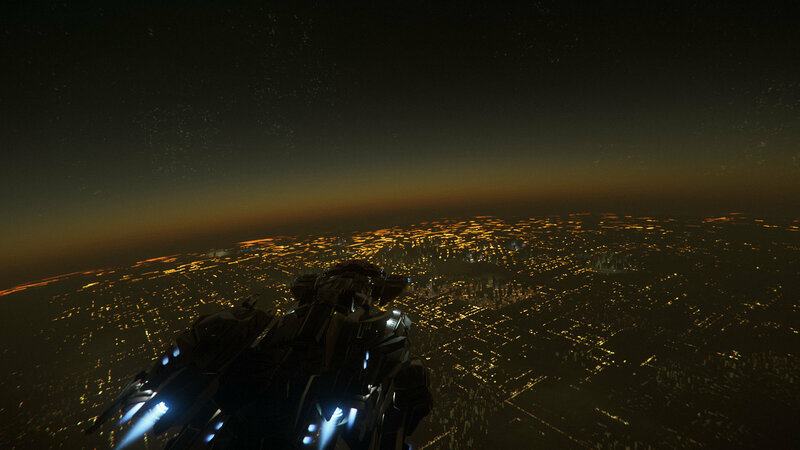 The next cup will start soon after, however you can still take part in the current stages; As Star Citizen increases in scope and activities we will be hosting more evening events - come and join us at ANTCORP! ; With the beta launch of Hell Let Loose coming on the 6th June and many players in the CMP community already participating in the close beta testing phase, we will begin testing the game, looking to arrange battles against other clans and communities, and also the game's potential for creating future campaigns using it. A new FH2 campaign will be launching at the end of April! Fight in the heat of the Mediterranean and North Africa for CMP's fifth campaign; "On Rommel's Trail" - keep checking the General Announcements for more information. Now On To The Birthday Celebrations! We would like to invite you all to play on a custom FH2 map created by @GeoPat on Friday 12th April Hard Brexit Use our new Community Installer - Download here (Read the Tutorial. Post any bugs or issues you might find, this is still a work in progress) Alternative Manual Download Map Download - Download here Minimod Download - Download here The campaign files will come in a zipped file. Just copy this file into Program Files (x86)\EA GAMES\Battlefield 2\mods\ folder. Choose 'Extract Here' and let it install the files. Let it overwrite any files if you have older campaign files installed. In a post Brexit UK, some dead-ender refusenik weirdos have robbed the Bovington Tank Museum and have dug-in in the ancient refuge of bandits, Sherwood Forest. The local lads have donned their fighting shorts and dusted off Gran's Lee-Enfield to defeat the last outpost of the European Union on their shores. Details: Date: Friday April 12th at 18h UTC Length: 4 Hours+ OPEN TO EVERYONE! Server: CMP Birthday Event 12th April | CMP EU #2 Teamspeak: CMP - Teamspeak Server : ts.cmp-gaming.com Time: Time (UTC): 18:00 till 22:00 Time Zone Converter Hard Brexit Created by: @GeoPat Requirements To Play: Working Forgotten Hope 2.54 for Battlefield 2 with latest BF2 update (v1.5) Map Files (linked at the top) FH2 Admins: Papillon Quicksilver kummitus RAnDOOm Hawk Donating To CMP Throughout our first year, the costs for running the community were shouldered by only a few members of CMP, notably Papillon and kummitus. In 2018 we started our donations drive to ask for CMP members to help with our monthly costs and we very nearly reached our target for this year. In 2019 we will also need members to step up and donate whatever they can afford to help cover the monthly community costs - even a few Euros will help. This will allow us to continue to create and host FH2 campaigns, support new games such as Post Scriptum and Hell Let Loose on the game server; as well as run the forums, Teamspeak and Discord channels. You can use the button below to make a single or monthly donation to CMP, or use the buttons on the side bar of the Home page. In some ways. You are less reliant on the Engineers like you are in PS to build things and supply infantry, but a lot of the game play is the same in how you fight as infantry really. At least in my opinion.